What started out as a banking crisis became, in 2008, a story for everyone: retailers, consumers, auto workers — and tech professionals. Though it wasn't business as usual, some big mergers — like HP buying EDS — were executed. Long-awaited products like the Android-based G1 "Google phone" were launched. Standards wars involving file formats like OOXML and hardware technology like Blu-Ray concluded. The battle against spam purveyors like McColo went on ... and on. Microsoft, moving into middle age and struggling to gain ascendance on the web, was involved in many of the biggest stories of the year. 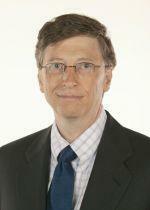 The most influential entrepreneur of our time, Bill Gates, moved on to focus on philanthropy. Here, not necessarily in order of importance, is the IDG News Service's pick for top 10 technology stories of the year. On December 1, the US National Bureau of Economic Research made it official: the American economy has been in a recession since December 2007. The tech sector is not immune. The conventional wisdom until the end of 2008 was that since corporate IT budgets were slashed after the dot-com bust, there isn't much left to cut. Therefore, the thinking went, the tech sector will suffer a sales slowdown but not an actual decline. However, market watchers are hedging their bets, revising expectations and in some sectors of the tech industry, such as PC and mobile devices revenue, forecasting global declines. Tech companies are cutting revenue forecasts and their share prices have sunk to levels almost as low as during the dot-com bust. Forrester Research in December slashed its forecast for overall US purchases of IT goods and services from 6.1% to 1.6% growth in 2009. Market analysts are still saying that 2009 will end up in positive territory for tech overall because the recession is expected to end after another quarter or two. But if that does not happen, look for some vendors to go the way of the now-defunct investment banks. Hewlett-Packard's announcement in May that it would acquire IT outsourcer Electronic Data Systems for US$13.9 billion was a big deal not just because large acquisitions became relatively scarce in a year of contraction. With the acquisition, HP will challenge IBM in services, consolidate its position as the world's top IT company, and expand its portfolio as a further hedge against an IT market that is likely to decline globally for several quarters. HP services accounted for 16% of its 2007 revenue of US$104 billion, while IBM generates more than half its revenue from services. EDS will expand HP's consulting and outsourcing capabilities, bringing it to the number two spot in services worldwide behind IBM. With the EDS acquisitions under its belt, HP expects revenue between US$127.5 billion and US$130 billion for the year, compared to IBM's expected US$105 billion. 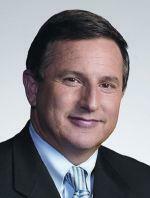 This month, HP CEO Mark Hurd (right) announced EDS would be merged into its Technology Solutions Group. Microsoft's attempts to buy Yahoo generated more speculation, leaks, and pundit pontification that any other story in the tech world this year. Microsoft officially withdrew its bid on May 5 after failing to agree on a price with Yahoo, even though it ended up raising the original February 1 offer of US$31 per share, or about US$44.6 billion, to US$33 a share. In the aftermath Jerry Yang resigned as CEO of Yahoo, which saw its share price sink to US$9. After declaring he was no longer interested, CEO Steve Ballmer said in early December that the two companies should do a search deal "as soon as possible". Yahoo last week removed one impediment to a deal that Yang had erected: a controversial severance plan. Ultimately, much more than a price tag is at stake. Google is using the cash generated by its dominance in internet search and advertising to develop new services and applications that diminish Yahoo's importance and challenge Microsoft in the market for software as a service. Look for the saga to conclude with a deal, sooner rather than later. Microsoft declared victory in its fight to get fast-track approval for Open Office XML as a global file format standard on April 1. Some critics said it was ironic that the software giant crowed about its success on April Fools' Day, given that a vocal group of International Organisation for Standardisation members had complained about irregularities in the voting process. Industry insiders said the whole affair smacked of the days before antitrust cases in the US and Europe when Microsoft could throw its weight around and skirt the boundaries of the law with impunity. Others said that the OOXML approval means life will be more difficult for IT managers who want to use applications incorporating the rival Open Document Format standard. The ultimate significance of the whole affair may be that in its fight to get OOXML approved as a standard, and subsequent efforts to make the file format more interoperable with other document formats, Microsoft has signalled that it understands that the software market has changed. As web and open source applications become increasingly important, even proprietary software giants need to make sure their APIs and file formats are transparent and connect to the wider world of software. When executives from T-Mobile, Google and HTC took the stage in September at a sleek Manhattan restaurant to unveil the G1 — probably the most long-awaited product of the year — they also marked a milestone in a changing mobile world. While the design of Apple's iPhone still ranks number one among phone aficionados, the G1 brings a new, open business model to the mobile device world. Google has stressed that the open source Android platform will let developers build applications to run on multiple devices and networks. There is no assurance this will actually happen, but the Android concept, and its execution, is more open than what Apple has done so far. The Android developer kit is free and any application can be added to the Android application store. Meanwhile, Symbian, the platform which has the largest market share, was opened up midyear and the LiMo mobile Linux group has a loyal membership. Mobile communications will never be the same. Toshiba announced in February that it would discontinue its HD DVD products, handing victory to Sony and rival high definition disc format Blu-Ray. The move ended an epic standards battle. The final blows were dealt by Warner Bros, which earlier in February said it would stop issuing movies on HD DVD, and Wal-Mart, which in January announced it would phase out the sale of HD DVD products. As in most format wars, there are no clear winners. Both camps sunk hundreds of millions of dollars into the battle, not always to make the products better but in efforts to woo content makers. The format war also stunted growth by confusing consumers. It made logistics more difficult for retailers. Sony has conceded it won't make its sales goal for Blu-Ray players this year. Part of the problem is the price for films on the discs, but Sony and other player manufacturers also may be hesitating to bring prices down after spending so much money on their battle. At the end of October, McColo, a company based San Jose, California, that hosted a range of cybercrime activities, was shut down. About half the spam on the internet disappeared. A private citizen, Washington Post reporter Brian Krebs, had put pressure on ISPs to drop McColo's service. The problem is that without support from the police and federal agencies, there's no way to ensure that spammers like McColo will go out of business permanently. Private citizens do not have authority to raid and confiscate datacentre technology, which could shutter an operation like McColo forever. Some security experts are saying that spam is again on the rise, and suspect that McColo, one way or another, may be at least partially back in operation. It's difficult to get authorisation for the possibly hundreds of warrants it would take to confiscate the property of a spammer like McColo. Sweden's TeliaSonera in fact did help resurrect McColo for a while. Until international cybercrime laws and enforcement procedures are in place, victories against spam are only temporary. At the end of June, a long-feared date arrived. PCs preloaded with Windows XP would no longer be available. Industry insiders had braced themselves for that date because XP's successor, Vista, was plagued with performance glitches and a host of problems like driver incompatibility. Though Microsoft has cleared up many of those problems, Vista never really ended up getting the respect of many IT pros. However, Microsoft left ways for people to get their hands on XP. Though retail PCs would not be shipped with XP, business customers — the ones who really care about incompatibility issues, could still get their hands on the OS. Low-cost notebooks can continue to ship with XP through June 30, 2010. Many users are running XP until Windows 7 ships. Company officials promise the OS will not give rise to the same device driver problems that bugged Vista users. Stay tuned. Barack Obama arguably ran the most efficient, organised presidential campaign of all time. Computing power, database technology, social networking, email list management and some form of automated business intelligence (the campaign has been reluctant to reveal the exact ingredients of the secret sauce) were key to his winning campaign. Campaign canvassers were given computer printouts zeroing in on key characteristics of swing voters, supporters were able to create personal online dashboards that made it easier to coordinate their volunteer activities, and mobile communications were tapped to pique the interest of young and tech savvy citizens. Just as technology has become incorporated into core business processes, it will become de rigeur for campaigns to employ cutting-edge computing. One of the more interesting questions in politics and technology in 2009 will be how Obama taps his vast electronic network to help him enact the change that was the premise of his campaign. When Bill Gates ended his daily role at Microsoft in June, it was a milestone not only in his own career but for the tech industry. Gates did not invent the PC, but he invented the PC industry, providing a software platform on which computers and applications from many companies could interoperate. As a scrappy young entrepreneur in 1981, he struck a deal to provide the operating system for the IBM PC. With IBM's imprimatur, personal computers took center stage in IT. Gates' career reflects the arc that PCs have taken. As Gates steps away from business life, PCs are becoming just one way to connect to the internet. But even though the classic PC form factor may not be as central to tech as it once was, personal computing software has morphed and found its way into billions of devices of all sizes and shapes. Meanwhile, Gates is still relatively young and has the opportunity to make as much of an impact in philanthropy as he did in technology.